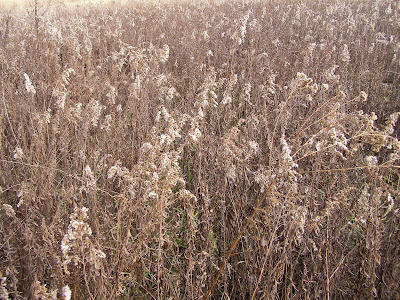 Too many people treat Goldenrod as a weed. I’ll admit that it will quickly take over an abandoned field and can create acres of a seeming monoculture. You really can’t fault it for that since it’s a native plant just taking advantage of conditions we’ve created. I’ve always thought of Goldenrod patches as four foot tall forests. Life in the Goldenrod Forest exists in distinct layers. At the top are organisms living among the flowers, below this are those that interact with the leafy part of the plant, next come stem borers and gall makers followed by life on the forest floor. It’s during the winter that ground level life flourishes in the sunlight. Goldenrods produce a chemical agent that inhibits the growth of other plants. The plants that do grow alongside the Goldenrods are those that are resistant or tolerant of the chemical inhibitor. 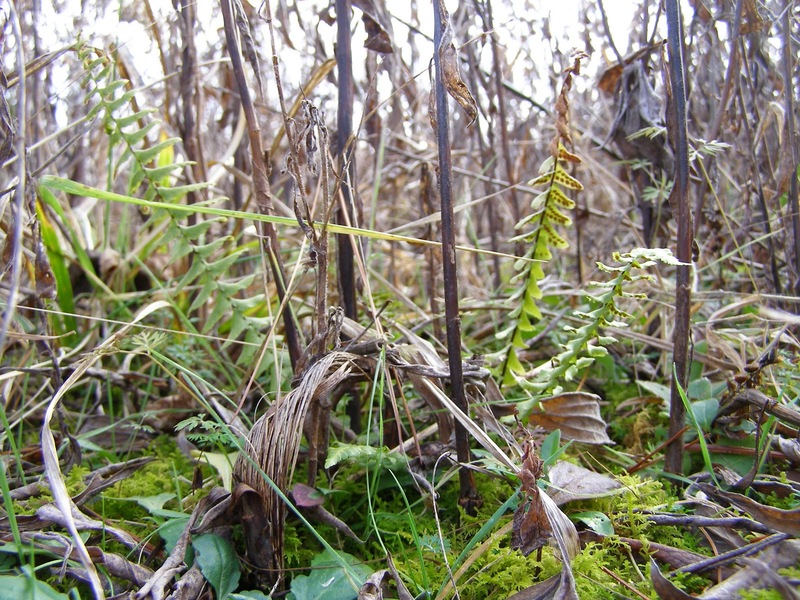 It’s not surprising that most of these resistant species are not likely to cause undue competition for the Goldenrods. Ferns grow in abundance on the floor of the Goldenrod Forest. Spleenworts in particular produce some luxuriant growth. I see this same species growing in the deciduous woodland and the cedar thickets, but those populations don’t come close to producing the density of plants found among the Goldenrods. Thick carpets of moss cover the ground in some areas. 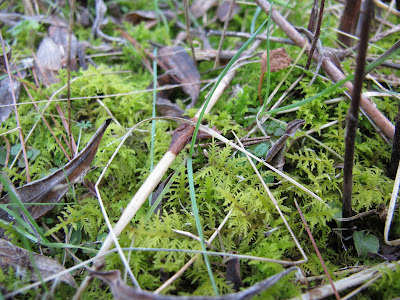 The moss beds are identical to those found in the standard woodlands. Other low growing species have also found a home among the Goldenrod stalks. 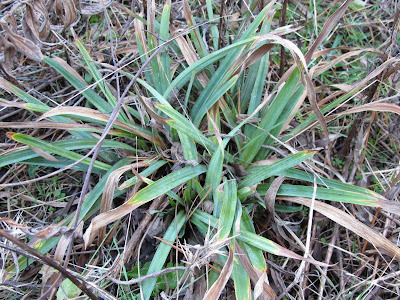 Blue-green Sedge is common in the field, but the most vigorous plants seem to be those surrounded by Goldenrods. 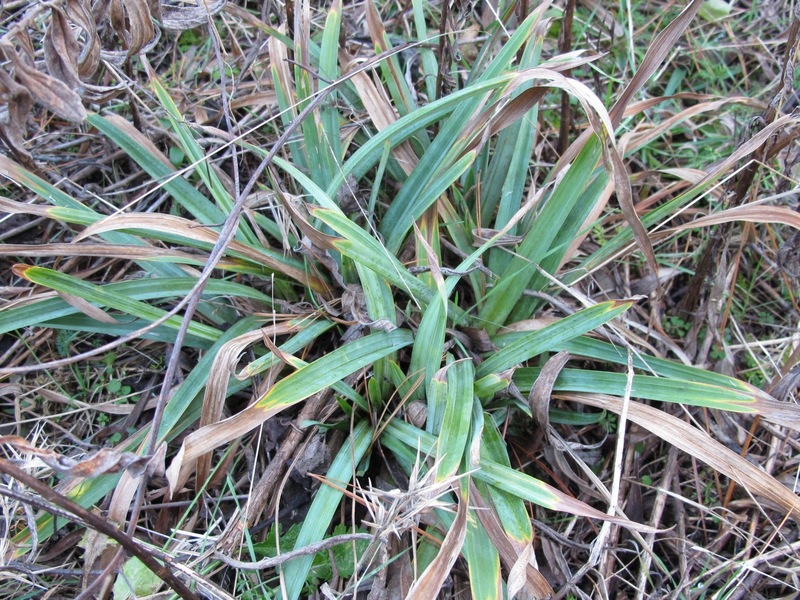 The sedge is probably benefiting by the absence of competitive plants that grow in areas not affected by the Goldenrod’s chemical growth control. Despite its aggressive nature, Goldenrods are only a transitory population in the field ecosystem. They are eventually replaced by other species capable of resisting the chemical growth inhibitors. 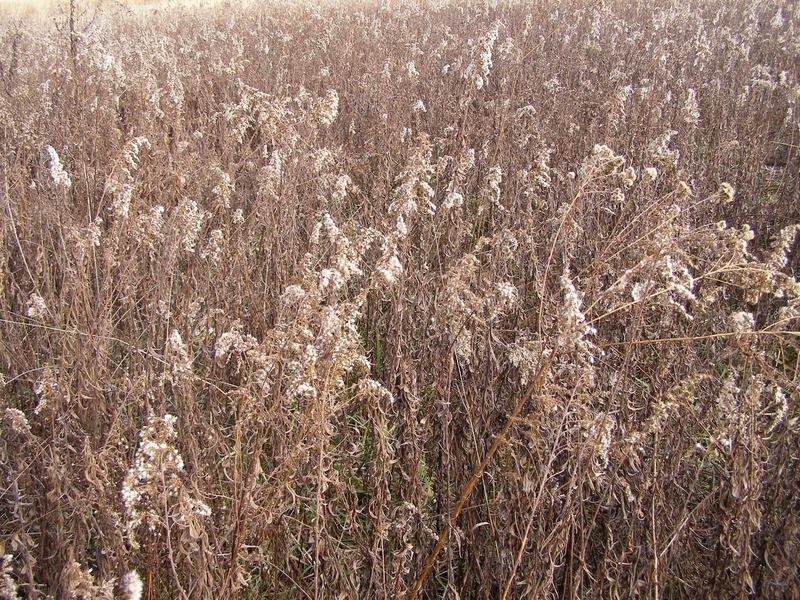 At Blue Jay Barrens, Indian Grass has been rapidly encroaching on the Goldenrod Forests. 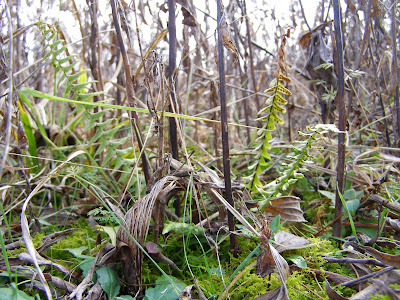 Where once the Goldenrods covered many acres, only scattered patches remain. A couple of these patches seem difficult for the Indian Grass to infiltrate, so the Goldenrod Forests should remain for many years to come. i now look at goldenrod, in a diffrent way. Hi Mike. The more ways you look at something, the easier it is to understand.